The dandelions are in full bloom here (thanks to Toronto’s ban of toxic lawn chemicals) and my 4-year-olds absolutely love them. I set out this playdough invitation-to-play and it kept them busy for over an hour! Dandelions are a perfect flower for kids to explore. These sunny looking wildflowers grow abundantly in the spring – and kids are allowed to pick them! They also serve as food for birds (namely goldfinches and house sparrows) and bees, they’re good for soil health, and they’re a nutritious edible plant with promising medicinal uses. 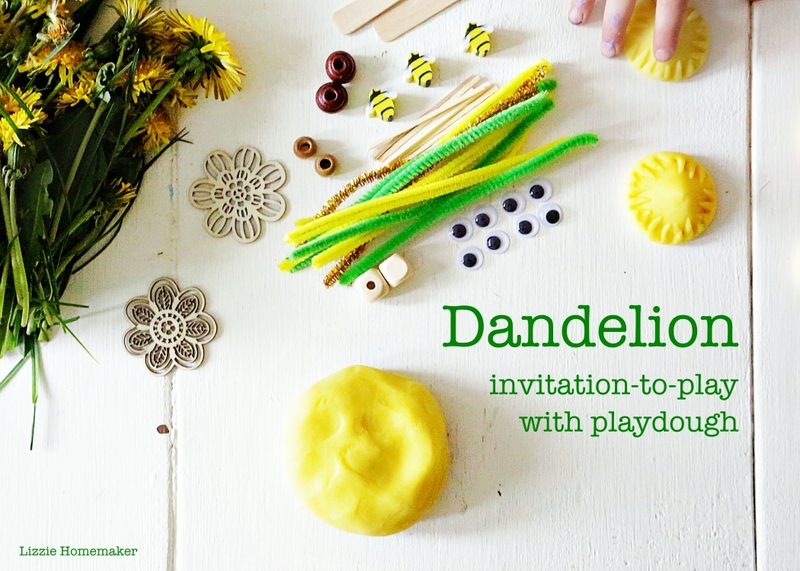 This dandelion themed playdough invitation-to-play was a hit with my 4-year-olds. They loved ripping apart the flowers and kneading them into the dough. Lately my littles have had a bit of a tough time at school. I thought it would be nice to set out a welcoming playdough invitation-to-play inspired by their favourite spring wildflower. It's a fun activity that helps them relax and work out their stress at the end of the week. To further uplift their mood I added a few drops of essential oils in refreshing citrus scents (a blend of bergamot, orange, lime, grapefruit and lemon). Mix all the ingredients in a heavy-bottomed pot or saucepan. Remove the dough from the pot and allow to cool slightly. Knead until it’s uniform. 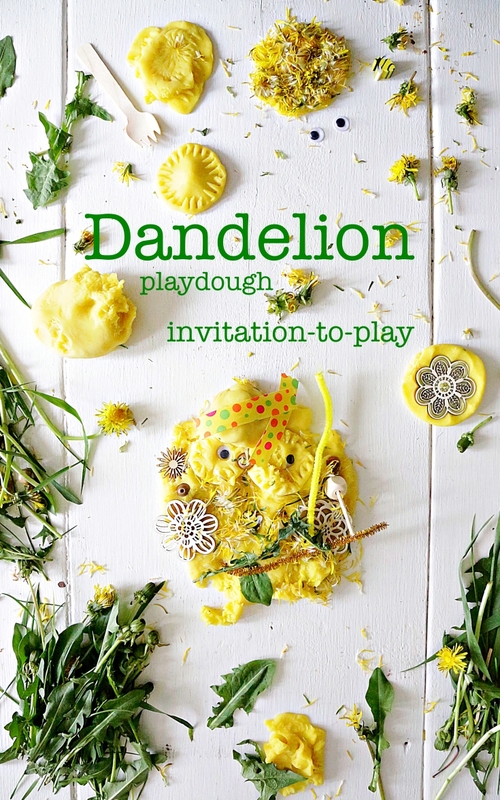 Set out dough with a bunch of fresh dandelions and a variety of textures and tools that invites the children to manipulate and explore the theme in any way they choose. Store dough in an air-tight container.